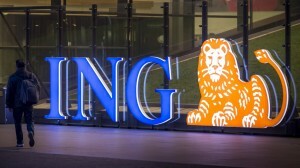 WILLEMSTAD - The ING bank saw 'nothing suspicious' in transactions worth € 150 million by a company in Curaçao. This is what the lawyer of one of the five suspects in a large money laundering case claimed today during a non-substantive hearing at the court in Zwolle, the Netherlands. In this case, a family from Curaçao is suspected of laundering a total of more than $ 322 million. The Public Prosecution Service (OM) assumes it is a criminal organization that made large use of 'dollar tourism' from Venezuela. Venezuelans supposedly bought goods from one of the family's businesses, but in reality they got US dollars against a commission. This exchange in dollars, also called 'swiping', was tolerated in Curaçao according to the lawyers.